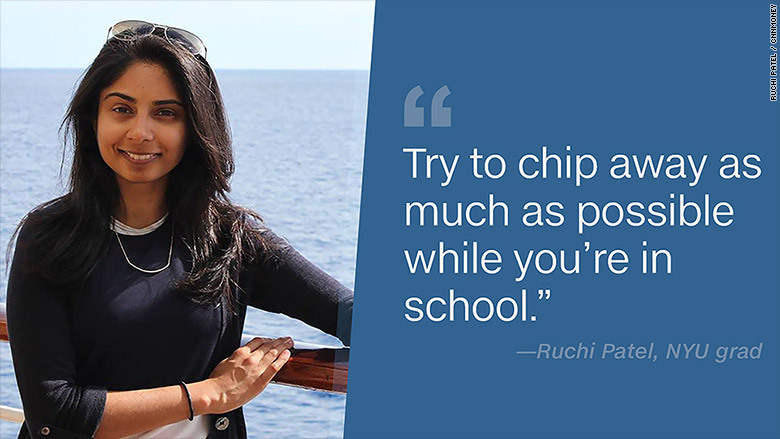 By the time most college grads make their first student loan payment, Ruchi Patel had already paid $3,600. Most college students don't realize they can make payments on their student loans before they graduate. Too many keep those annoying loans out of sight and out of mind until they absolutely must start making payments, usually six months after leaving school. "At some point during one of my finance classes, the light bulb went off. I was going to be screwed by the interest if I didn't start paying," Patel said. "My bank account wasn't empty. But what I had wasn't much," she said. Paying down the principal of your loans faster lowers the amount in interest you'll pay over time, said Phil DeGisi, the Chief Marketing Officer at the online student loan refinance company CommonBond. "Try to chip away as much as possible while you're in school. 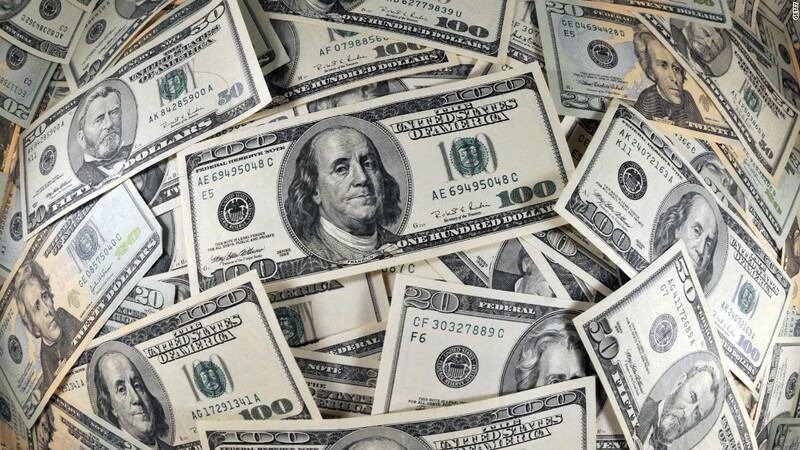 Those tiny payments -- however small -- really do add up," Patel said. Here parents also borrowed loans to cover the rest of her tuition. Now that she's finished her own payments, she's transferred those federal Parent Plus loans into her name, which currently total about $135,000. "I can't really think about buying an apartment or house, or living somewhere I'd need a car, or getting up and moving to another city," she said. If you're making pre-payments while in school, make sure they're going to the the principal amount, rather than the interest. This might happen automatically, but it's best to call your loan servicer to make sure. If you have federal student loans, you're allowed to make pre-payments while in school. But if you have private loans, there's a chance you could be hit with a fee for making payments early. Call your loan servicer to find out. There are two different types of federal student loans: subsidized -- which don't accrue interest while you're in school -- and unsubsidized -- which start accruing interest as soon as you borrow the money. If you're going to make payments while still in school, choose to pay down the unsubsidized loan so that less interest accrues overtime. "It was quite a decision to make after living on my own for four years in New York City, but I kinda had to," she said. But be careful. If you refinance a federal loan with a private, you might be giving up some protections -- like being able to apply for deferment or an income-based repayment plan in the event your finances take a hit in the future.